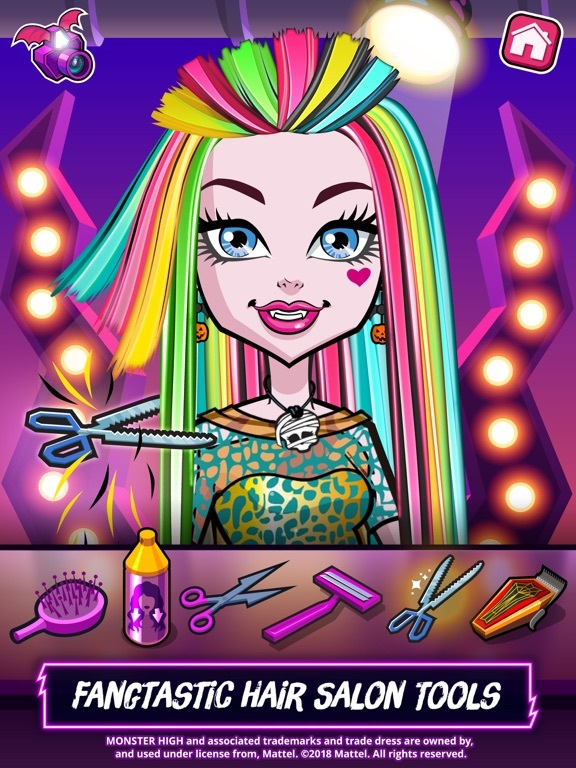 Monster High™ Beauty Shop av CRAZY LABS BY TABTALE , G.P. 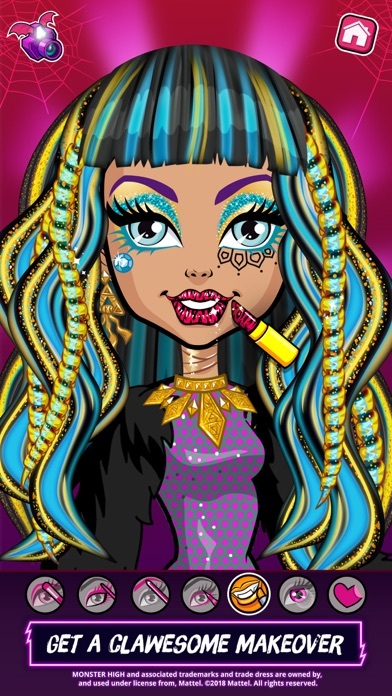 Clawdeen Wolf™, the trendiest monsterista from “Monster High” just opened her very own beauty salon - and she needs YOUR spooktacular touch! Help Clawdeen give her ghoulfriends killer looks! Clawesome hairdo? Creeperific nails? 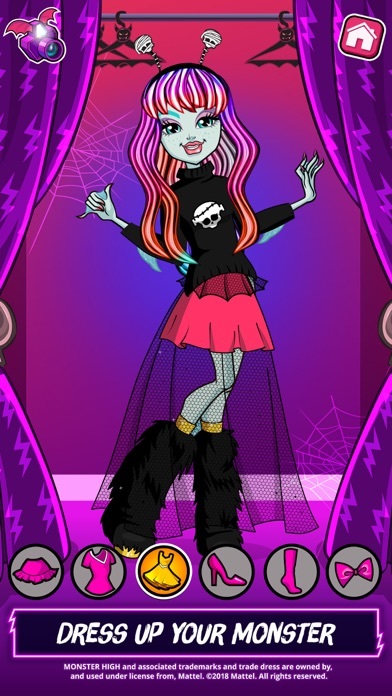 How about a new fangtastic outfit? You can get ’em all in the ghoulest one-stop shop! 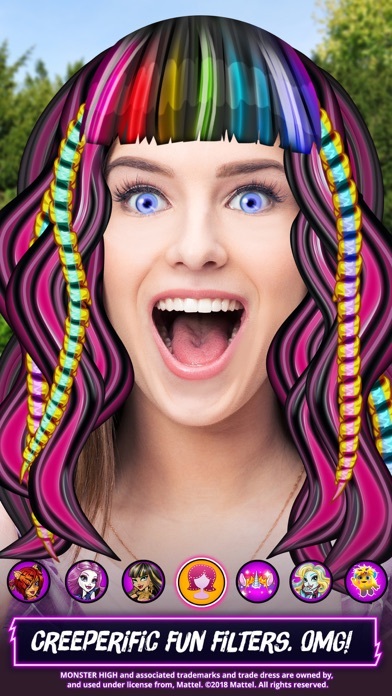 Oh wait, that’s not all: You can get freaky-fab looks by using our gore-geous selfie filters. You can even create your own filters, so get creative! Are you ready for some spooky fun, ghoulfriends?! 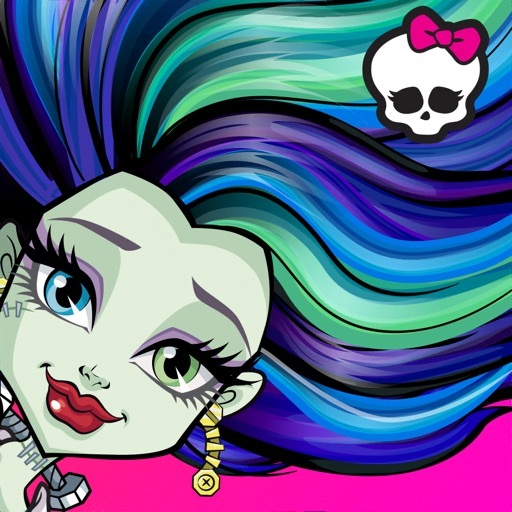 > Use spooky-cool hair salon tools like magic growing spray, hair dyes, mousse and so much more! 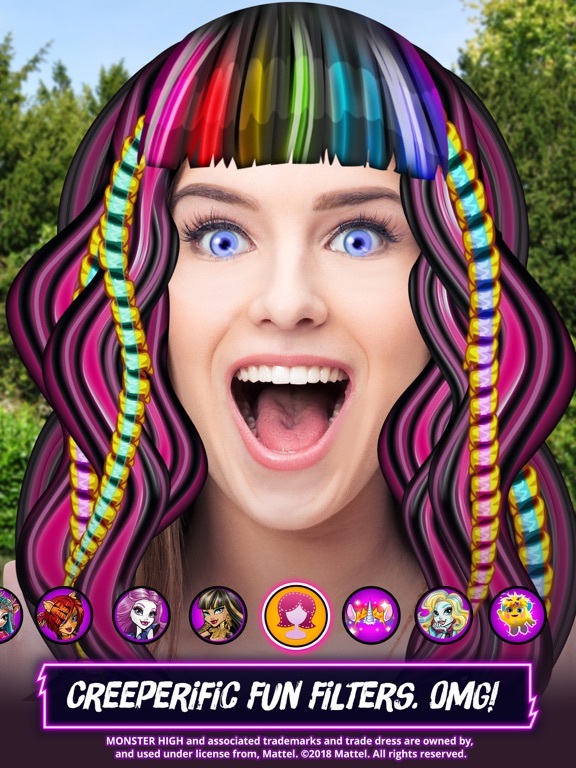 You can even use Znap to electrify hair! 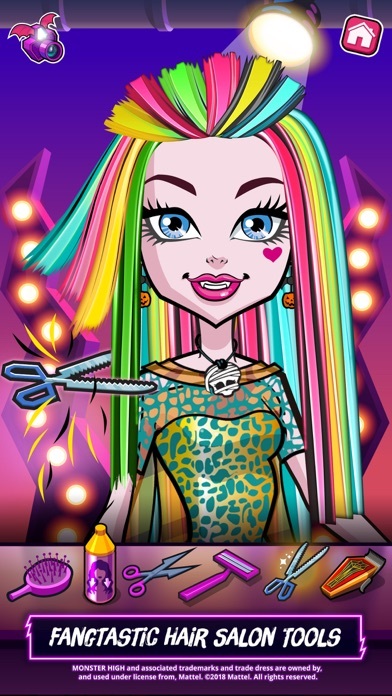 > Add your freaky fab photos to Spookygram to show off your killer looks. > Dress up time! Mummy leggings or dresses fit for a rock star monster? The choices are endless! And wait till you see the crazy shoe collection! 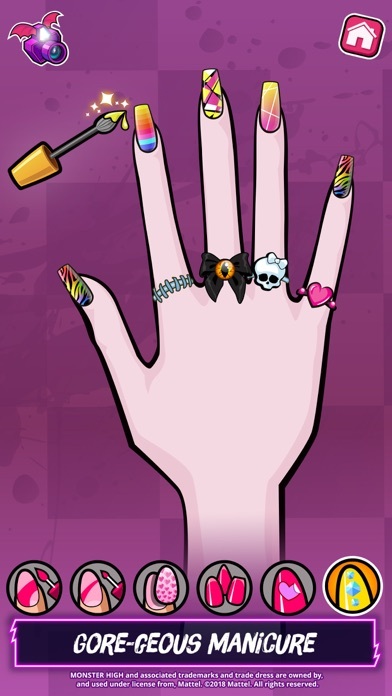 > No monster look is complete without killer nails! 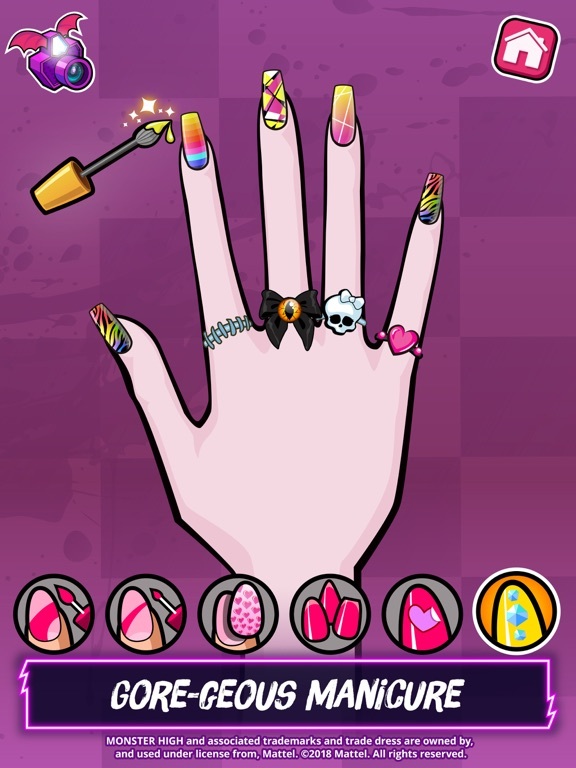 Choose claw-like nail shapes, add purrfect rings, and give the monsters spooktacular manicures. > Accessorize your spooky clients with clawesome jewelry like crazy-shaped earrings or spiky collar necklaces. > Bugs, bugs, go away, don't come again another day! We got rid of any unwelcome creatures! > Show us how much you love the game - leave a 5 star rating! > Don't forget to write a review too - we actually read them!